Mbulani and London Secondary Schools are among of over 7 secondary schools in Songea’s Municipal Council located in peripheral wards. There are over 38,000 people living in these wards where 1500 people are secondary school children with no source of clean and safe water. Potential sources of clean water include (but are not limited to) boreholes, taps, and improved wells. For the residents of these schools, local dug wells are the only source of water. Unfortunately, they are used for washing clothes and bathing within local wells, is a common practice that often leaves many wells contaminated. Also, the wells are exposed, affording animals the opportunity to pollute the water. Even after the construction of 73 improved Traditional water wells and ( 4) bore holes in the district (to the community and schools) the need to expand the project to other areas especially in secondary schools and community is great (more than 5 requests from secondary schools and 7 villages have been received by our office). The people who have not yet received such assistance have been zealous in their appeals for support and are ready to contribute their efforts so as to make the project successful. Construct 2 hand pump( bore hole) for Mbulani and London Secondary schools which do not have taps or borehole water sources for drinking water. The following activities will be conducted. 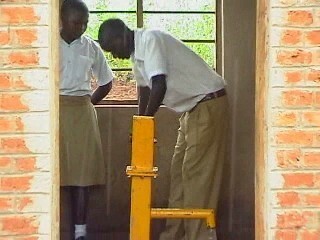 Among over 900 students from London and Mbulani Secondary school no one accesses safe and clean water. The schools are in peripheral wards in Songea Municipal council where water services are not yet reached the areas. Over 900 of school children are getting water from local dug wells which are un safe for drinking. In the project area the students and the community arround schools are using the local dug wells in watering vegetable and school house construction. SWN 80 AND SWN 81 model pump set are locally manufactured in Tanzania. A pump set complete with 4”PVC casings Up to a depth of 35 m cost slightly over Tsh. 8,000,000 ( equivalent to $ 6,200) due to inflation and raising of transportation costs. In hand pumps constructions we target a borehole yields of not less than 800 litters per hour at shallow depths suitable to service our beneficiaries, presently most of sub-urban secondary schools are not covered by other public water supplies, there fore, the project is going to provide 2 Hand pumps to 2 secondary schools ( Mbulani and London Secondary Schools), 1 hand pump in each school. The project will benefit more than 900 students ( 452 are girls and 448 boys) where Mbulani Sec. School has 324 (168 female and 156 male) by 2010 the school expect to have capacity of accommodating 520 students. London Secondary school has 576 students (290 female and 286 boys) the capacity of the school in one year. The beneficiaries are part of the total population of 38,303 people in three wards where we are going implement the project. 1. To provide clean and safe drinking water sources to over 900 students in Mbulani and Londoni secondary Schools within Songea Municipal council by Jan 2010. 2. To minimize distance walked by students to fetch some water from 1-1.5 km to 100 Meters and time from 30 -60 minutes to 10 minutes by January 2010. 1.In project implementation the school community contribute 10% -15% of the project total costs ( usually required to build pump house). A contract to support them is only signed if the community are willing to do such contribution. We plan to use government expertyies in the project as the technician to take the role of advising and government laboratory and tecnicians will be used to conduct water quality analysis. Also the government water program is targeting to ensure clean and safe water accessed by people living in rural and urban areas without desclimination.The government official from village to regional level have played a big role preparing this proposal and planning to work together in the project implentation. We suggest the school to start / to strengthen health club which will be also responsible in caring for the hand pump and its environment. This will promote closeness and awareness on water issues.In their health clubs sanitation and hygiene skills will be taught. PADI will provide them sanitation and hygiene materials to the clubs and supporting them by asking experts from Songea Municipality to the sessions. Due to the government budget constraints it become more difficult to provide all essential needs to the community including clean and safe water. There fore the need of different stakeholders to support these needs to community is needed. A training session will be conducted to 10 people who are members of Well Monitoring Committee(WMC) on how to manage to perform miner repair , clean, maintain the pump and monitor any problems associated with their functioning. These people, being school community/villagers living in the vicinity of the pump, will be on hand to maintain the wells (ten from each hand pump 5 men and 5 women). The amount will be contributed by the school community through the construction of pump house soon after the installing the pump set. Please see the other application for 2 village bore wells for question and post a response on that for both applications. Please fix the sanitation numbers to zero as this project does not involve installing sanitation facilities. Thank you very much for your advice Mr Rajesh, I have acted on it. I have changed the number of people geting santation as you have advised. This is a good project, and last years similar projects were done well and reported well. 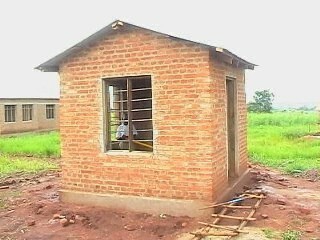 However, the other village projects were not reported well. So, we are recommending this while requesting that all past project reports be updated properly, even if not very successful.